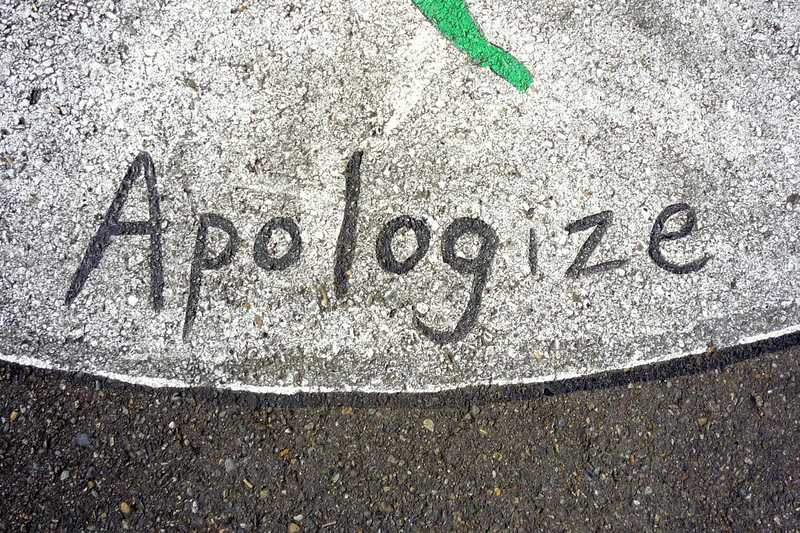 There has been a lot of apologizing going on lately. Some of the “mistakes” happened 40 years ago; some pretty recently. (Are we owed an apology for cutting taxes on the rich and the corporations while not funding healthcare for poor children?) Here is an interesting post on how to say you’re sorry. But I digress. I’m of the belief that until I can swear to being perfect at all times, I have to be willing to accept imperfections in others. I was also curious as to why sometimes a minor “infraction” is deemed okay in one person and a federal case in another. Is it tone? Is it reputation? If you are considered a straight-up good person, perhaps you’ve earned a pass, but if you’re considered a serial offender, you get zero tolerance. That makes sense. In our field of design and construction, when a person owns up to the “mistake” immediately, takes responsibility and pays to correct it, there is no need for a prostrate apology, because everyone knows that no one is perfect, accidents happen, and you fessed up and corrected things before the mistake could have a major impact on the project. Hiding your errors, botched schedules, or budget overruns never works, so don’t do it. We’ve been talking about what to do when you’ve made a mistake, particularly in the world of design and construction. But how do you behave when someone else makes a mistake? It seems to me, that if the apologist has been forthright, takes responsibility and pays to correct the mistake, the project representatives must stay professional and let it go – no punishment, no screaming, no name calling. In fact, offer to assist. Cool heads working together can solve most any construction issue. So, stay cool, no matter which side of the “mistake” that you’re on. Your project will benefit! Perhaps respect breeds respect. When we avoid bad news, it is disrespectful. People have less patience for people who are disrespectful. So, let’s respect each other, strive to do the right thing every day – and if we slip up, apologize and take action to fix things. Best wishes for a happier New Year, despite the ups and downs that will come your way.